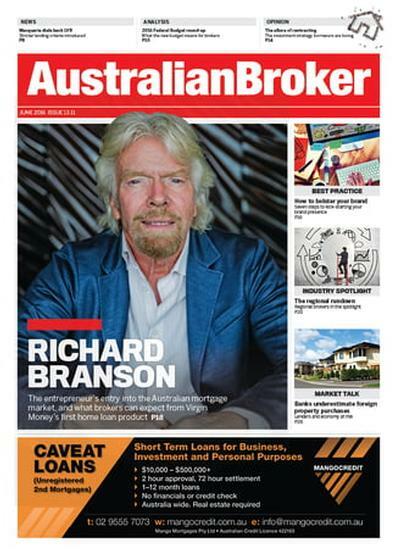 Australian Broker is the first independent industry news magazine written for the Australian mortgage and finance broking industry. Each issue provides timely news and accurate coverage of the issues shaping the broking industry, making it the medium through which the broader mortgage, lending and finance industry can communicate with brokers. Regular features include sales, marketing, business strategies, opinion, leading broker profiles, success secrets, lifestyle, social events and functions plus a focus on the lighter side of broking. Be the first person to tell us what you think about Australian Broker and you'll save $5 on your next purchase! This is published 24 times per year, please allow up to 4-7 weeks for your first delivery. Your subscription will begin with the next available issue.